With UFC lightweight champion Khabib Nurmagomedov threatening to leave the company if his teammate is fired, Rapper and big Bellator MMA supporter 50 Cent is looking to bring Nurmagomedov in. 50 Cent wrote on Twitter that he is more than willing to offer Nurmagomedov $2 million to fight in Bellator, saying that it is not fair that the UFC is not treating its champion the same way it treats Conor McGregor. This comes after Nurmagomedov’s antics after his UFC 229 victory over McGregor saw Nurmagomedov jump the cage and nearly incite a brawl with Dillon Danis, McGregor’s jiu jitsu coach. Afterwards, the Nevada State Athletic Commission withheld Nurmagomedov’s fight purse and are currently investigating the matter. 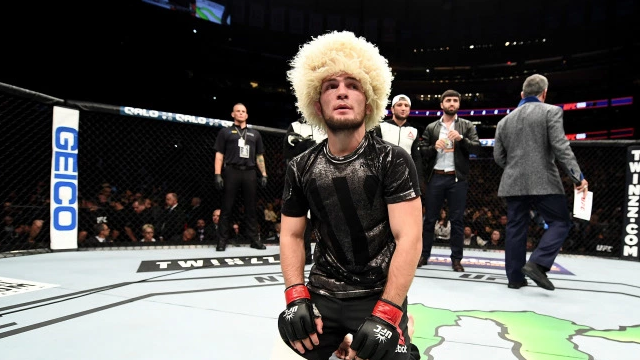 UFC President Dana White stated after the incident that Zubaria Tukhugov, Nurmagomedov’s teammate, will never fight in the UFC. This caused Nurmagomedov to make an Instagram post in support of his teammate saying if Tukhugov is fired, then he will walk out on the UFC. The NSAC has temporarily suspended both McGregor and Nurmagomedov, with an official hearing date to determine further sanctions set for October 24.